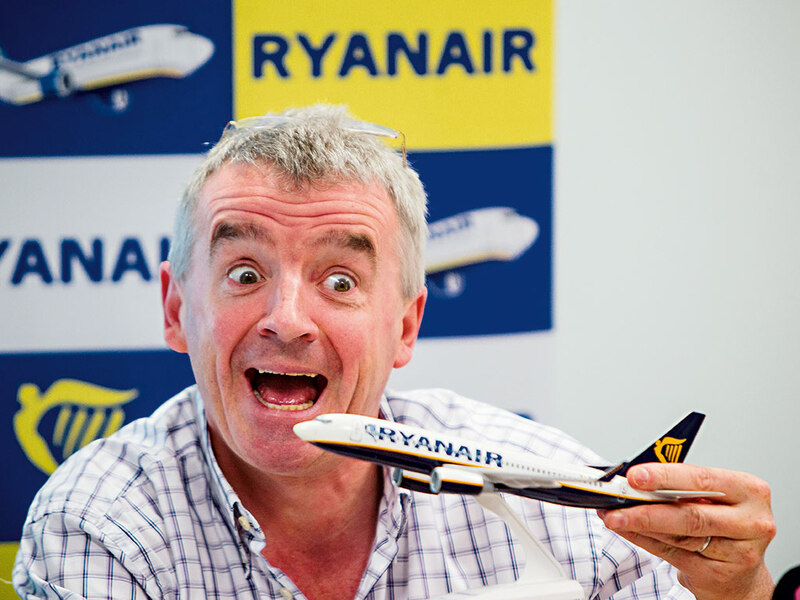 Crazy Irish Ryanair boss Michael O Leary threatens the UK over Brexit! In a stunning intervention the Chief Executive of budget Airline Ryanair has claimed he will ground planes after we Leave the EU in a bid to force Britain to reconsider its vote to leave the EU. Michael O'Leary who was a vocal remainer, of course who as an Irish Citizen had no right to vote in the referendum, said he is considering carrying out the stunt to show voters they were lied to during the 2016 campaign. He said the tactic would hammer home to people in the UK that cheap holidays will become more expensive after Britain quits the Brussels institution: "I think it's in our interests - not for a long period of time - that the aircraft are grounded. It's only when you get to that stage where you're going to persuade the average British voter that you were lied to in the entire Brexit debate. You were promised you could leave the EU and everything would stay the same. The reality is you can leave the EU, yes that's your choice, but everything will fundamentally change. When you begin to realise that you're no longer going to have cheap holidays in Portugal or Spain or Italy, you've got to drive to Scotland or get a ferry to Ireland as your only holiday options, maybe we'll begin to rethink the whole Brexit debate. They were misled and I think we have to create an opportunity." Carsten Spohr who is charge of German flagship Air Company Lufthansa also agreed and piled in: "In theory, if we could use this industry to prove to the British how wrong the decision was, that might be a good thing." Brexit supporting MP's have argued that the only reason O'Leary is doing this is that it will affect his profits and that they will be begging the UK for more routes once we exit the EU.